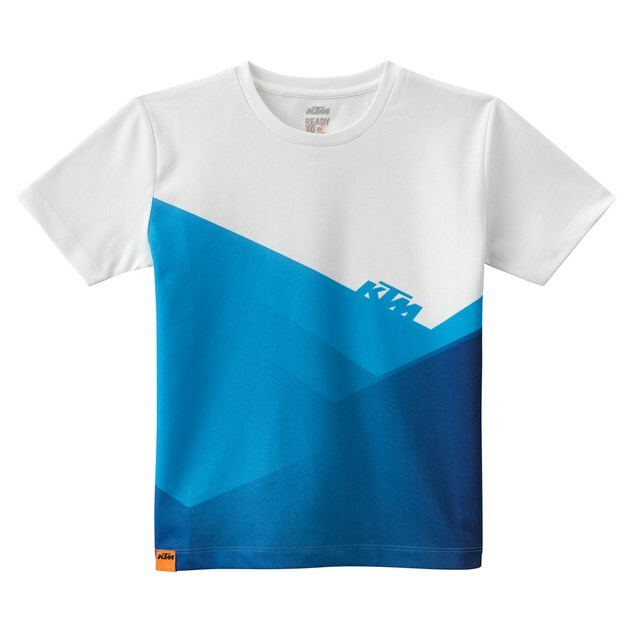 Kids' t-shirt made of high-quality single jersey fabric. Large graphic, racing design print. READY TO RACE arrows on the back. 52% cotton / 48% polyester.